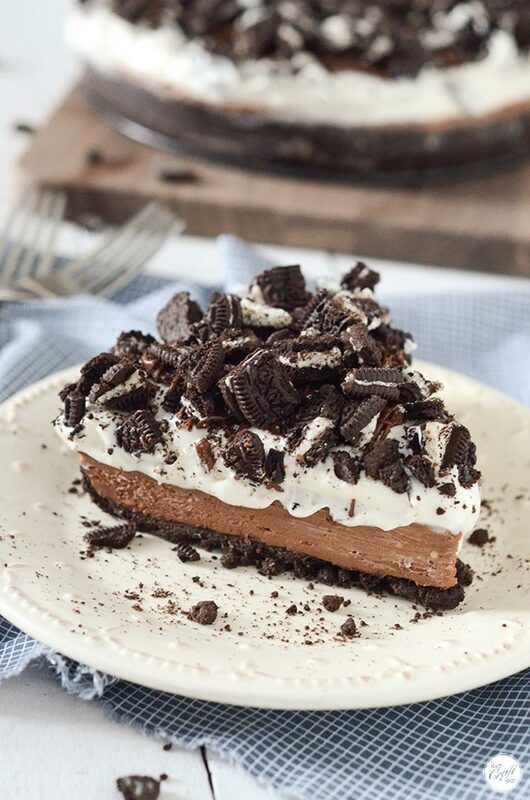 for all you nutella lovers out there, this oreo nutella cheesecake recipe is for you! it is chocolatey, nutella-y, and oh, so creamy. it is my dream cheesecake. and best of all, it’s a no-bake cheesecake! 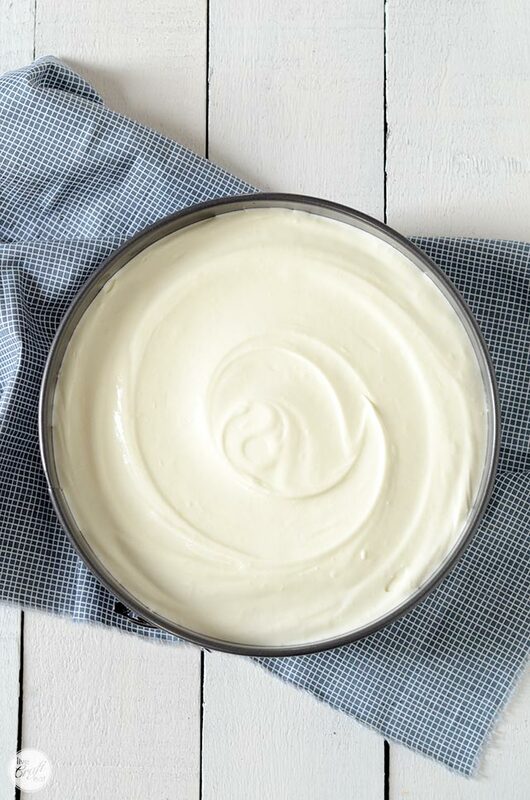 which means there is no oven to worry about, no getting cracks in the top of the cheesecake…just a simple, put-it-together, let-it-set-up-in-your-fridge kind of cheesecake. made with nutella…did i mention that? and since we’re talking about nutella, it’s kind of like a double nutella cheesecake because it’s got nutella in the crust AND in the actual chocolate nutella layer. and then to make it even more chocolatey delicious, it’s got oreos too. have i convinced you to try this yet? 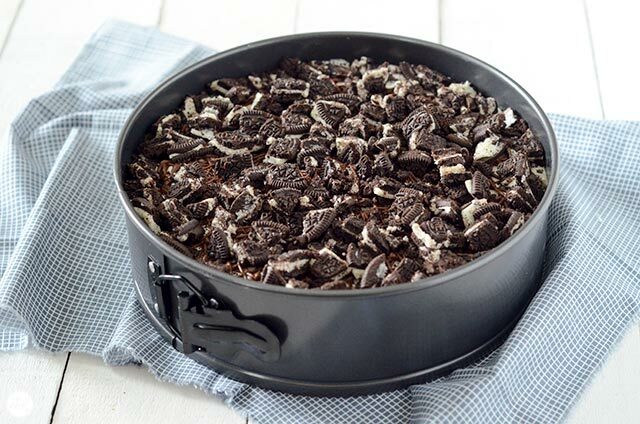 the nutella oreo crust is really easy to put together. it follows along this how to make an oreo cookie crust post that i put together, with the addition of nutella. basically all you need to do it put the oreos in a blender or food processor and pulse until coarse crumbs form. then add the melted butter and nutella and pulse some more until the oreo crumbs are now fine and everything is mixed and incorporated together. 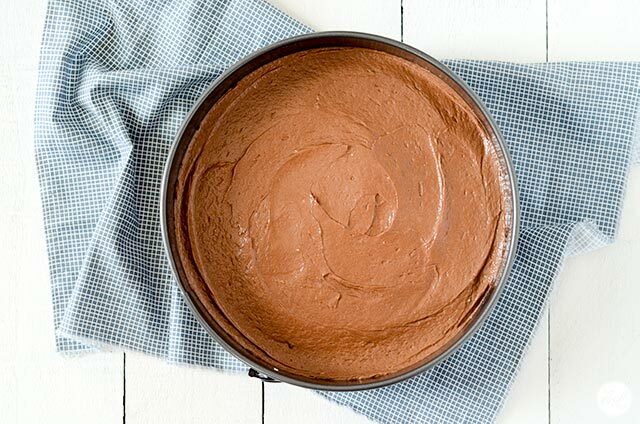 take that deliciousness and press it into a 9″ springform pan (aff link) and then let it cool in the fridge for several minutes while you make the next layer. for the nutella + chocolate layer you will need nutella, milk chocolate, and 2 bars of cream cheese. make sure the cream cheese is softened to room temperature. 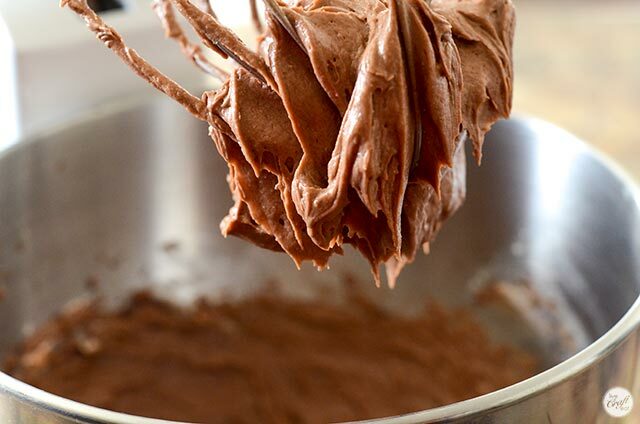 in a mixer, or by hand, beat the nutella and the cream cheese until you get a really smooth consistency. then melt the milk chocolate and pour that in too. beat until combined. 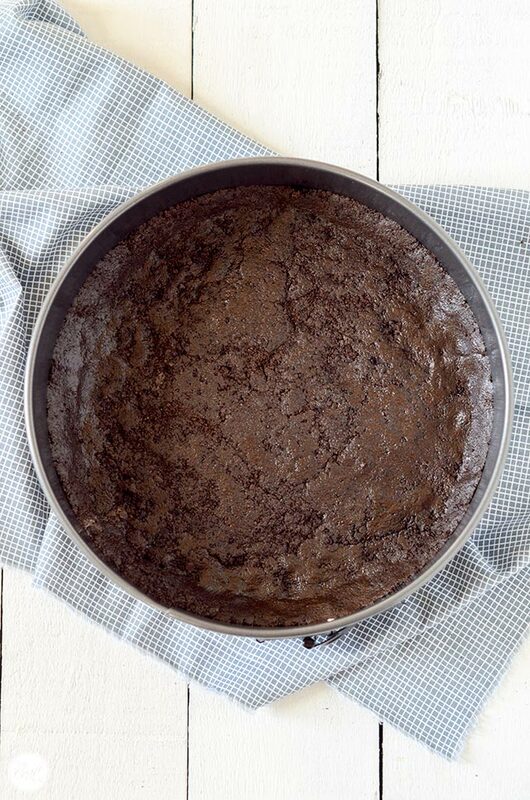 spread the nutella chocolate mixture in the springform pan, over the oreo crust. chill in the fridge until set and pretty firm, about 1/2 an hour to an hour. 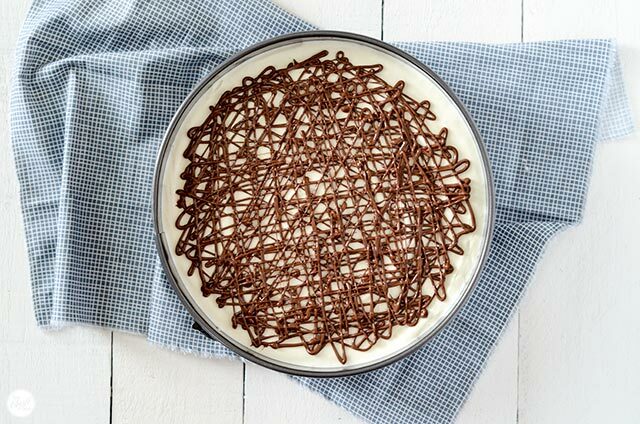 while the chocolate nutella layer is chilling, make the white cheesecake layer. all you need to do is prepare 1 envelope of dream whip as per the instructions on the package, soften 1 package of cream cheese, and 1 cup of icing sugar. mix all of the white ingredients together thoroughly and layer it on top of the chocolate nutella layer of the cheesecake. chill in the fridge for about an hour. note that this layer will not get really dense nor set up like the chocolate nutella layer of this cheesecake. this layer is definitely more pillowy and soft, which makes it perfectly creamy and light! and to really up the nutella flavor in this cheesecake, drizzle some nutella on top of the white cheesecake layer. you can get it to more of a drizzling consistency by putting some in a bowl and microwaving for 15-30 seconds, just until it becomes softer and more liquid. the last thing you need to do is chop up a few of the leftover oreos and sprinkle them all over the top of the cheesecake. ooh, i can’t wait to dig into this! release the spring of the springform pan and cut yourself and your loved ones a big ‘ol slice. 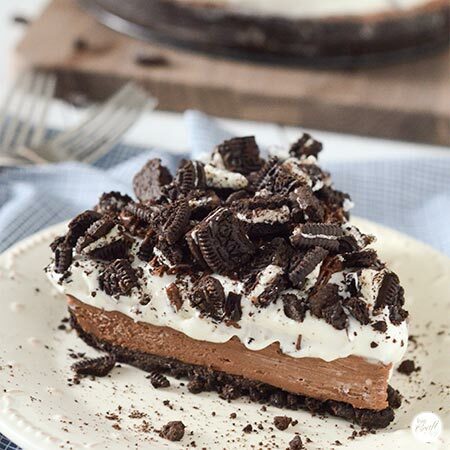 this no bake nutella oreo cheesecake really is the perfect combination of everything chocolate + nutella. if you’re a nutella fan like i am, you are definitely going to want to try this one out!! pulse the 24 oreos in a blender or food processor until coarse crumbs are achieved. 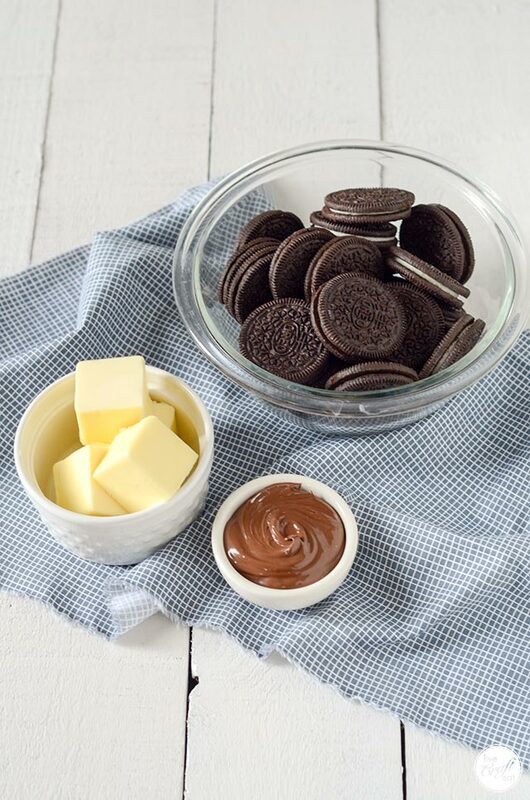 add the melted butter and the nutella and pulse until oreo crumbs are fine and ingredients are well combined. transfer to a 9" springform pan and press crust into an even layer across the bottom and up the sides of the pan. chill. 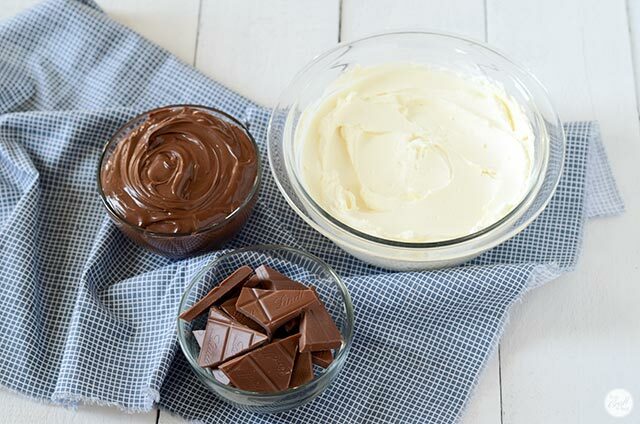 beat the cream cheese and nutella together until smooth. 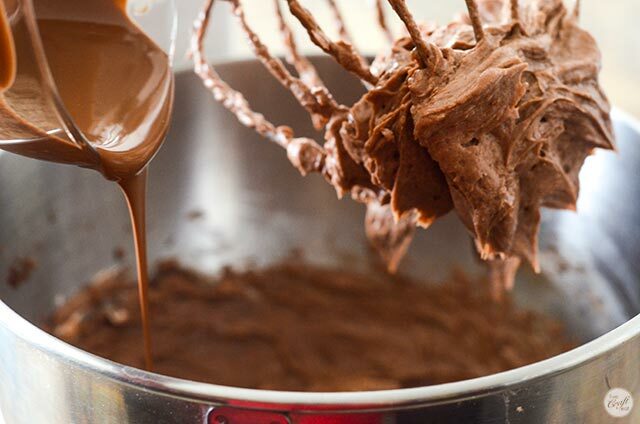 add melted milk chocolate and beat until well combined. spread on top of the oreo crust. chill until firm. 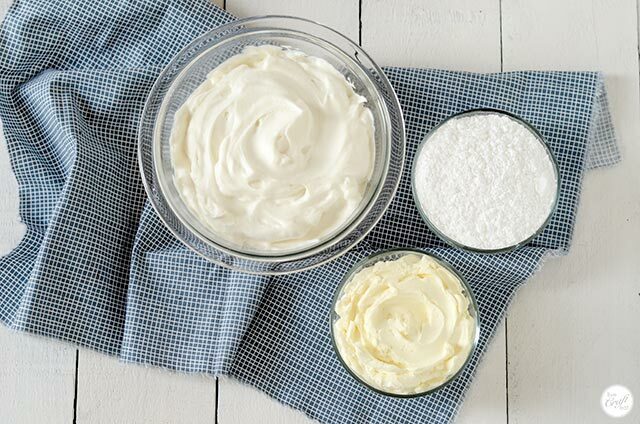 combine the prepared dream whip, cream cheese, and icing sugar. spread over the chocolate/nutella layer. chill. optional: drizzle with nutella softened in the microwave. top with chopped oreo cookies. keep refrigerated until ready to serve. serves 8.